Custom Home Designs, Asheville, NC | Off Duty Fireman Construction Inc.
'); // });Custom Home Designs, Asheville, NC | Off Duty Fireman Construction Inc.
Let us help you create the perfect custom home designs in Asheville. Your home should be your safe-haven, and the place you love most. You may feel the same way as other homeowners, though, that custom home designs are out of your budget. We’re here to help you see that you can have the home of your dreams within your price range. Whether you’re looking to build a new home or you’re interested in renovating your current home, at Off Duty Fireman Construction Inc., we can help you. We have years of experience with home construction and can help you create a custom home design that will be a perfect fit for you and your family. 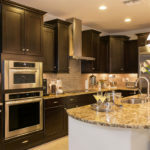 We offer remodeling services, including custom additions and full kitchen and bathroom renovations. It is incredible how much a home can be transformed by updating it and making key changes to the layout. Let us help you create the perfect custom home design in Asheville, North Carolina. We sit with each of our customers to discuss what needs and wants each one has for their home. As we determine what is most important, we’ll start to formulate blueprints for how we can create that in custom home designs. We love the process of helping you create the home that will work best for you. It is not something that is out of your budget; you just need to prioritize what matters most to you in your home. Give us a call to help you start creating a custom home design to fit your needs, wants, and budget. At Off Duty Fireman Construction Inc., we create custom home designs in Asheville, Waynesville, Hendersonville, Black Mountain, Arden, Maggie Valley, Charlotte, Lenoir, Hendersonville, and Winston-Salem, North Carolina.